The two main consumers of electricity in any average household are the electric geyser and your electric stove. 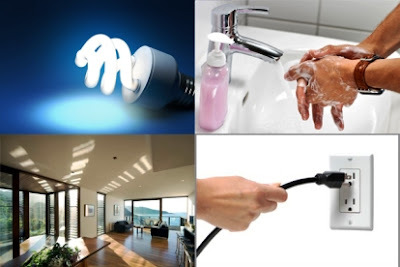 There are many very simple ways to economize, and save on electricity, without suffering any discomfort at all. • Set the thermostat lower; 50 to 55 degrees Celsius is adequate. (This would be 120 to 130 degrees Fahrenheit). • Never allow hot water taps to leak; the trickle of cool water into the geyser as it needs to top up, will keep it switching on and heating up. • If you do not have a double-bowl sink, fill a separate suitable container for rinsing dishes. (A plastic basin works well). If you wash and rinse under the hot tap, you will use a lot more electricity. • Use as little bath water as possible and avoided topping up with hot water during a bath. • Switch off the geyser when away from home. • Switch off the geyser for the day, warm it up in the evening. Switch it back off just before you start emptying it for bath time. • Insulate your geyser with a geyser blanket. • Insulate hot water pipes in the ceiling space. Apart from saving you electricity, you will not have to wait as long for the water to heat up as it travels along cold exposed pipes. In the world of small appliances, even a toaster uses a surprising amount of electricity, but probably only half of what most kettles use, in turn a kettle uses half of what a dishwasher may use. Here are a few simple ways to save electricity while cooking. • Pressure-cookers use a lot less electricity than open pots. • A slow cooker, simmering all day can use less electricity than two plates set on high for half an hour. • An electric frying pan uses a fraction of the electricity used by a stove. • When cooking on plates, match the pot size to the plate size. Pots with dented bottoms require more heat. • Once a pot is boiling, turn the plate down or off. • Do not fill the kettle more than necessary. Always make sure though that you do fill it above the element. • Heat tea water in a kettle and not over the stove. • Check refrigerator and freezer door seals, make sure they all seal firmly. Defrost regularly, ice build up makes fridges and freezers use more electricity. Ticking off any of these points as something that you practice daily, could save you a surprising amount of electricity. Get an electrical contractor to make sure that there are no major electrical faults in the electric system of your home, faults can be the cause of unnecessary leaks or even pose a danger to you or your property. Make sure your system has a electrical compliance certificate. These are obtainable through a qualified electrical contractor. During a power outage, generators are essential to allow you to do your daily tasks and routines without interruptions. Performing your everyday tasks seems to be harder without energy. Doing your laundry manually takes time and much effort, leaving you tired and weary to do your other tasks. Giving the children a bath during a power outage can be overwhelming because of all the preparations you need to do to ensure the kids will have a nice, warm bath. There are times when a power outage goes longer than expected due to weather conditions and this would mean your food storage will be compromised. You would not want to waste all the food in your refrigerator and waste your money altogether. When you are on a budget, every single food is important and you would not want them to go to waste. It is really hard to move about and do your daily chores when you are in the dark. During a bad weather, fast cooking would be very convenient for the family. But when there is a power outage, cooking takes longer because you have to do everything manually. 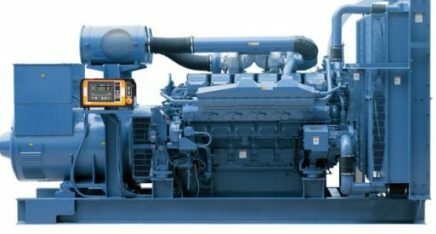 With power generators, you no longer have to exert too much effort and waste much of your time. You can do all your daily chores without interruption even during a power outage. When you have a business, power outage means loss of income. You should not let this happen to your business. Your business must go on even during a power outage. You need a dependable and trustworthy backup solution for your business needs. The life of your business depends on your energy and you cannot afford to miss a beat. Your energy backup system must automatically detect a power outage as early as 10 seconds start working immediately. The best power backup system must be easy to install, high quality, durable and most of all, affordable. It should include a mounting pad for a secure installation. There are some appliances and equipment that are sensitive; your backup system must be able to cater the energy needs of such equipment and appliances with care. There should only be a smooth and clean operation when using your backup system. Most power backup systems use gasoline with models that differ in wattage such as 12500, 15000 and 175000. You can use this backup energy system to power up even your construction business. Your business does not need to suffer any delay due to a power outage. Take control of your business with a backup solution that is efficient and dependable. Portable energy is also a necessity when having a bonding time with the family in a far place. Camping with the family is better if you can have more quality time with them. Cooking and preparing food is faster and easier if you can use your appliances to help you. You can use your extra time for your family. Empty mobile phone battery during camping trips with the family is already a thing of the past with portable generators. Installation of light and fittings in a room is a task that requires careful consideration. This is mainly due to the fact that lighting solutions should best be selected to suit a person's needs or the requirements for the room. One of the more favored lighting options for many contemporary spaces is the LED downlights. It is a typical choice for many home owners to install this type of fitting in various rooms in their home such as in bedrooms, bathrooms and even kitchens in order to instantly add style and modern flair that other fittings cannot afford. 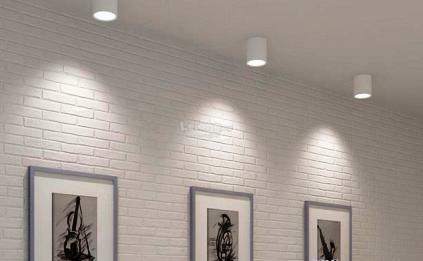 LED downlights are normally mounted onto narrow openings in the ceiling of a selected room. The manner the fixture is fitted usually entails the need for it to be hidden from view. This results to the light appearing to shine from a hole in the ceiling. Those who opt to use LED downlights in their room are given a wide range of options to choose from, there are different sized fittings, shapes and even an array of colored LED fittings that can easily transform any space. Similar to floodlights, LED downlights have the ability to cast bright light in a downwards direction but in narrower field similar to spotlights. Downlights that are available in the market are usually made up of two integral modules not including the bulb. These two components are known as the housing and the trim. The housing component is a fixture that holds the light in position when mounted to the ceiling. Commonly the housing is hidden from sight and is capable of keeping the bulb in place. The more visible part of the LED downlight is called the trim. To date the trim comes in a variety of styles to fit the décor and different spaces for installation. Some of the more popular style range from color fittings to chrome, and plastic to metals. Not only is LED downlighting an attractive lighting solution for any room in your home it is also a very efficient and effective light source that operates on minimal energy levels and only gives out low heat. This makes this fitting an ideal inclusion to your space and an attractive feature while still maintaining functional purpose. It is however ideal that proper safety measures have been met whilst the installation of these fittings to reduce the risk of fires. Some other factors to consider when procuring some LED downlights aside from selecting the color and size would be to check on lighting strength. A shop assistant would come in handy as they are not only well versed with a specific brand or model's qualities they can as well answer your inquiries and offer demonstrations on store units. Although relatively easy to install, a much wiser option is to hire a professional to mount your LED lighting framework. If you must insist on going the DIY route, make sure to do ample research, phone the consumer representative for the brand or even ask an expert for some advice. LED downlights are available in many home depot shops and even stores online. LED-downlights is your one stop place for finding quality kitchen LED downlights in a wide variety of designs and finishes!